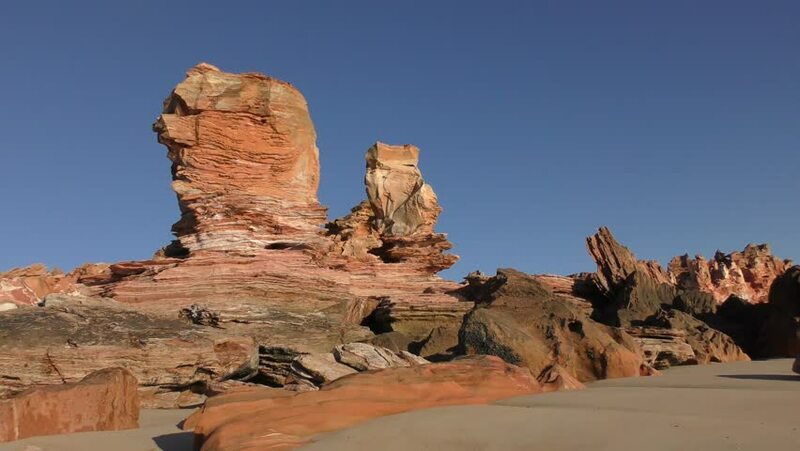 Dramatic beautiful remote lonely beach near Broome, Western Australia, with cliff coast, rocks, blue sky and copy space. hd00:37El Valle de la Luna (Valley of the Moon), Atacama desert, Chile. It looks similar to the moon's surface. A prototype for a Mars rover was tested here because of the valley's dry, forbidding terrains. hd00:12Beautiful view of Wadi Rum desert in Hashemite Kingdom of Jordan, also known as The Valley of Moon.